After the alarming realization that one in seven children in South Carolina is not ready for first grade, the General Assembly created S.C. First Steps to School Readiness in 1999. 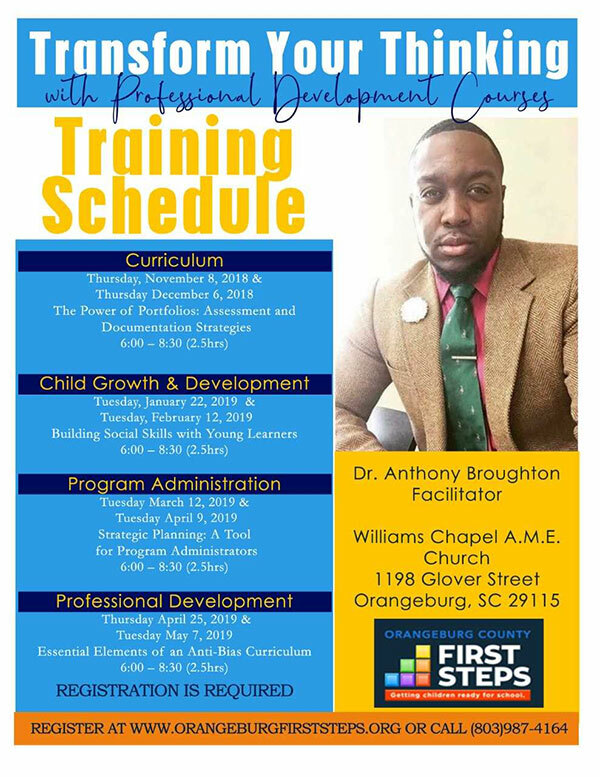 Orangeburg County First Steps is focused exclusively on increasing school readiness outcomes for all children ages 0 to 5. Registration Deadline: April 22, 2019! Copyright © Orangeburg County First Steps • 803-987-4164.